Formerly a Sith Lord, Maul failed his master and was replaced. And since the Rule of Two made it clear there was only ever room for two Sith—a master and an apprentice—Maul became something else—not a Sith, and certainly not a Jedi. 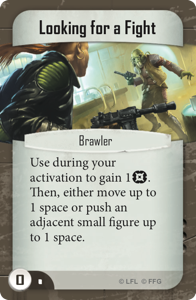 He became a rogue Force user, a formidable warrior, and a mastermind schemer, driven by his hatred, his thirst for revenge, and his desire to reclaim the power he had lost. 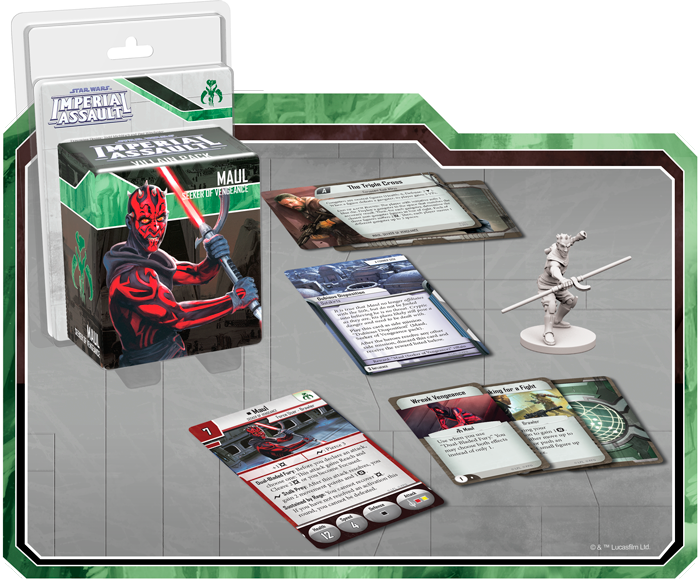 With the Maul Villain Pack, you can bring this deadly villain to your games of Imperial Assault, either as a powerful piece in the Imperial player's greater campaign designs or as an independent member of the Mercenary faction, ready to join any skirmish army that might allow him to further his own interests. In either case, you'll find Maul eager to claim vengeance. To that end, he may be willing to stick to the Coruscant shadows and skyrises for a short time, stalking his prey, but it won't be long before his rage and fury get the better of him. 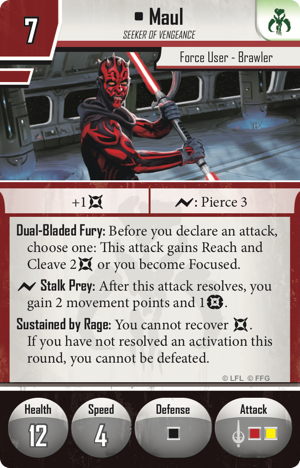 Then, when Maul leaps into the fray with his iconic dual-bladed lightsaber, you'll find him more than capable of cutting cleanly through the defenses of any who stand against him. And while much about this former Sith is shrouded in mystery, we know that he's Sustained by Rage and almost always Looking for a Fight.